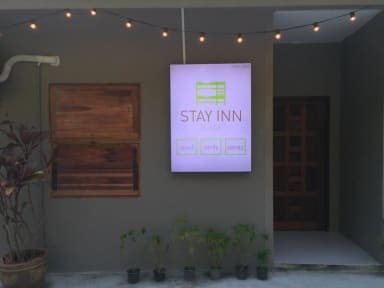 We have nice and clean air condition mixed - Dorm, decorated with 'Loft' Theme, that suitable for all visitor, Free Wi-Fi, Clean share shower and toilet, Common Room that you can meet your new friends. 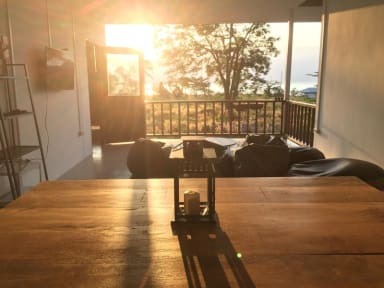 At the hostel, all rooms are fitted with a terrace with a sea view. Every room is fitted with a certain units at Stay Inn Hostel have a balcony. All units will provide guests with a microwave. Please come join us, A beautiful view and Pleasure are waiting for you. - Towel is free for the first time.To change is 50 baht per time. - Check In Time : 02.00 P.M.
- Check Out Time : 11.30 A.M. ,Check out earlier (Before 8.00 a.m.) Please contact the reception in advance. Hot spot between lonely beach and main pub st. Really comfortable place and super kind staff! Clean, comfortable hostel. Near to the lonely beach, it is so good to walk there in the early morning. The outdoor common area is beautiful and perfect. However, there was loud music beside during the night, but it did not last long.